Commandez sur le site Internet des Éditions de Boccard / Order on de Boccard publishers’ website. This article is about how women take part in the Islamic mystical (Sufi) order named Tijāniya. 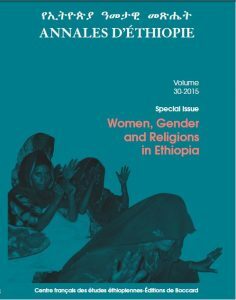 Basically in Ethiopia, Muslim women are generally regarded as secondary in gaining access to religious education, thus, few women take the mystical license to perform the Tijānī rituals and become a Tijānī disciple in Ethiopia. However, this fact does not indicate that women are excluded from any kind of Sufi activities. The focal person is Al-Fakī Ahmad Umar (d. 1953), a renowned Tijānī shaykh (Sufi master) from Bornu (of present northern Nigeria), venerated as walī (saint) mainly in western Ethiopia. In this article, a comparison is made of three religious centers of Tijāniya in western Ethiopia, where Al-Fakī Ahmad Umar took up residence during his lifetime. The comparison shows how Muslim women, as adherents of the Tijānī master, contribute to expanding the Tijānī community by chanting the Tijānī litany, Ṣalāt al-Fātiḥ in religious ceremonies. This article aims at presenting the missionary population belonging to the Comboni Missionary Sisters who served in Eritrea between 1914 and 2014. The choice of this congregation is due to the quality and reliability of available data found in the Comboni Missionary Sisters’ Private Archives (Verona and Asmara); to their weight in terms of number and activities (health, education, social works) carried out in Eritrea; to the possibility of including a gender perspective in the analysis, and applying the ethno-demographic method.Furthermore, the founder Daniel Comboni’s thought about the importance of female missionaries in implementing his idea of “reconstructing Africa through Africans”opened new opportunities for the missionaries themselves. Thus theCMS missionary experience is contextualized in the sociopolitical and cultural environment in which it took place, underlining the transition from colonial actors to postcolonial subjects. The main challenge of this article is to outline the demographic history of Italian CMS in Eritrea, highlighting their specificities in terms of mobility, age at arrival, mortality and morbidity. During the 15th century, two kings, Dāwit (1379/80-1413) and his fourth son Zar’a Ya’eqob (1434-1468), promoted the cult of two Christian female figures to legitimize their religious policies and to exalt their own image within the monarchy. Spotlighted were the historical Queen Helena, the mother of Emperor Constantine (272-237), and the biblical Virgin Mary. To justify their increasing involvement within religious affairs, the kings associated their own persons and images with these two feminine characters so as to enhance the sacral dimension of their power. In parallel, they organized and imposed the cults of these women by translating a variety of texts, dedicating to them holy days within the synaxarium, and developing an iconography to give visual support to these new devotions. I argue that one of the consequences of this was to enable, or at least to accompany, female political participation. At the end of the 15th century, the principle of regency was introduced. During the 16th century, queens were regents, they started to build royal churches, the new rank of itēgē was created to replace the old system of the queens’ titulary, and they become advisers to the king or protectors of the clergy. In parallel, their descriptions within the royal chronicles are increasingly linked with Helena and Mary. Hence, queens started to be integrated into the representation of the royal power and family. During the 17th century, they were represented as Mary within the royal and religious iconography. These analogies became the model for representation of the queen’s rank. In the middle of the 18th century, this archetype reached its climax with queen-itēgē Mentewwāb. Twice regent for her son and grandson, she ruled the country for almost half a century. In order to do so, she developed around her a strong propaganda, appearing as Mary and as Helena, as a queen in her own right, and as the true sovereign of the kingdom thereby de facto supplanting the ruling king. The fieldwork for this article focused on commonly experienced difficulties at holy water sites, including the abusive and abrasive behavior of some “healers” towards young women.We give a broad overview about several issues that are relevant to explain how these “healers”can act under the umbrella of the Ethiopian Orthodox Täwaḥədo Church (EOTC) even when they are not authorized by the Patriarchate and violate church laws in various ways. After looking at the EOTC’s historical development, we touch on the attitude of the EOTC towards gender relations and summarize the precepts of its prescribed ritual processes and teachings on health care services. We found that even though there is a strong beginning for women’s emancipation within the EOTC, there are still many mechanisms of suppression active today. Especially in popular traditional healing practices that appeal to various esoteric powers the gendered difficulties women face in seeking and acquiring health services are obvious.Inappropriate teaching methods and lack of administrative mechanisms have failed to guard the EOTC against the subtle influences of business making and cultural practices of healing.Furthermore, the various categories of church personnel are often not clearly distinguishable for laymen and women, a fact that produces confusion about appropriate and inappropriate ritual experts. While the EOTC’s and society’s gendered views about women’s subordination make women especially vulnerable, even the open disapproval of the Patriarchate and the banning of some “healers”from continuing their practices have failed to discourage this attitude. By way of illustration we provide case studies concerning young women’s experiences at a holy water site. They show how the proper EOTC ritual process of healing through the Holy Spirit, especially exorcism, is violated. The discussion in this article takes as point of departure the common assumption that committed religiosity hinders contraceptive use and abortion as the person would be obliged to comply with what is perceived as God’s will and give birth to the number of children He gives. 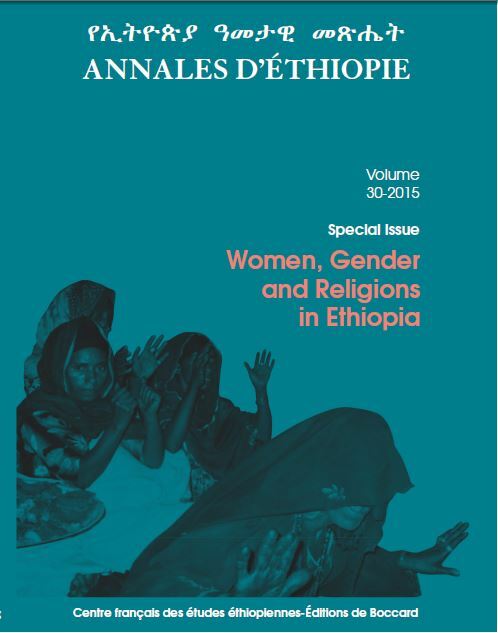 However, among the women (aged 18-75) who were included in this ethnographic study in one rural and one semi-urban area in Asgede Tsimbla Wereda in north-western Tigray in North-Ethiopia, there existed considerable confusion and opposing opinions about what the Orthodox Christian Church’s official stand on contraceptive use actually is. Even priests were not in agreement on the issue when asked individually. Furthermore, the interpretive indeterminacy in the common-sense understanding of the transition between God’s power and the person’s control, as reflected in the concept of cïddïl (fate/destiny), points to the uncertainty entailed when attempting to define how religion conditions decision-making. Considered significant in women’s narrative accounts, when legitimisation of contraceptive use is at issue, are the agentive negotiations involved when moving authority, in a discursive sense, away from the church and the field of religion to the field of science where the government backs women’s reproductive choice as a right. In the current context where the public health system provides a range of reproductive options for free, this discursive move allows women reproductive choices that are not over-determined by religion. The aim of the project “Archaeological and Epigraphic Investigations in the TigrayRegion (1st millennium BC-7th century AD)” is the study of ancient Ethiopian civilisations. This includes transition between different periods of ancient history, the transformation of the natural environment and types of human settlements. The site of Wakarida, chosen as the first study area, is situated near the eastern edge of the Tigray plateau, dominating the Afar depression. The site, covering some 9 ha, was probably a small city or town during the middle and late Aksumite periods (3rd-7th centuries AD). Two areas, excavated between 2011 and 2014, revealed typically Aksumite structures whose ground plans and construction techniques are similar to those of the large complexes of Matara or Aksum, although their dimensions are smaller. Though situated far from the capital and main commercial routes, the site of Wakarida was not isolated. Several sites, mostly smaller, have been discovered during the regional survey, mostly dating to the same period, and it seems that Wakarida was a centre of local power. Some archaeological remains could date to earlier periods and they are now under study. A medieval cemetery situated five hundred meters north of the rock-hewn churches of Lālibalā was identified on the headland of Qedemt. This relatively well preserved zone offers the opportunity to study the funeral practices at Lālibalā from archaeo-anthropological data. After a preliminary evaluation in 2010, a first excavation campaign in 2012 excavated about forty burials. Initial results show that the cemetery was in use between the 11th and the 18th century. These data make it possible to analyze the funeral space over a long period, to observe numerous cases of reuse of graves and changes in the practices. An initial analysis shows chronological variation in the orientation of the graves and suggests the hypothesis that a space was reserved for children’s burials during the last phase of occupation of the cemetery. This first campaign also yielded new data on the typology of the graves, the funeral practices and the medieval populations of Ethiopia. These results could be used as a reference point for a more global study of the funeral spaces at Lālibalā and more generally in medieval and modern Ethiopia. Among the sovereign rights of the Ethiopian Christian kings was the right to allocate landholding called gult to religious institutions and individuals alike. The lands received according to gult were generally of large size and theoretically inalienable. The cultivation and taxation imposed on the land-plots depended on the history of each particular institution. A comparative analysis of two versions of the same gult in favor of Aksum Ṣeyon church, one issued by the royal scriptorium of King Iyāsu I (1682-1706), the other issued by the beneficiaries (the church), reveals the issues at stake at the gult level and at the land-plot level. To donate or to confirm a gult landholding and to clarify the rights pertaining to land-plots are two legal actions that overlap and complement each other. The Indian presence in Ethiopia has attracted little attention in Ethiopian historiography. Yet Indian businessmen were as instrumental to Ethiopia’s early 20th-century economy as they were in British East Africa at the same period. As part of a broader research project aimed at addressing this gap, this article explores the life and achievements of Mohamedally Shaikh Sharafaly, the best known of these Indian businessmen, who set up one of the largest commercial and industrial business in Ethiopia. The account follows the narrative of an un-published letter the merchant wrote in 1940 about his business trajectory. From his arrival in Harar in the late 19th century to the eventual expulsion of his company in 1937, his story is highly revealing of the political context in which large foreign businesses would emerge, involving both friendship with the Ethiopian emperors and diplomatic protection, in the case of Indians as British subjects. Mohamedally Shaikh Sharafaly created an extensive network of Indian outlets throughout the country and organized a powerful multi-partnership with Indian fellows, with branches in Djibouti, Aden, and Berbera. The G.M. Mohamedally & Co was much more than a mere business. On several occasions, the company provided intelligence to foreign countries and it actively supported Ethiopians against the Italian occupation. On the social scene, it remained a long-term leader of the Indian community and was famous for its various philanthropic engagements. The 1937 expulsion, as brutal as it was,also showed the political power exercised in India by the company and its founder. This paper presents the edition of a short Gǝ‘ǝz text dealing with a Muslim prophecy concerning King of Kings Yoḥannǝs IV (1872-1889). This text, written probably between 1881 and 1889, is supposed to be a letter written by Muslim authorities from abroad to Muslims living in the Wällo region. According to the pseudo-author, Yoḥannǝs is the chosen king of God, announced by a prophecy; thus Muslims from Wällo should submit immediately to the Christian monarch. This text has very specific characteristics and its analysis shows that it was a document produced in a Christian Orthodox milieu in order to justify the harsh policy directed against Muslims in Ethiopia at that time. This way the text raises questions concerning the ideological apparatus elaborated and developed at the court of Yoḥannǝs IV. This article presents a profile of two Ethiopian nurses, Aster Ayyana and Berqnäsh Käbbädä, who had a distinguished nursing career in the Korean War. After graduating from Empress Mänän Senior Secondary School (a girl’s school), these two young women took up a nursing career, joining the Ethiopian Red Cross along with six other women schoolmates.After completing their training at the Red Cross,they were selected and joined the Third Kagnew Force in Korea. They took special military training and ultimately were promoted to the rank of Second Lieutenant. The Korean campaign took place amidst the anti-colonial struggle of African nations for independence; and, at a time when the nursing profession was very much needed and in high demand, the significant role of these two Ethiopian nurses reinforced nursing profession and promoted the role of women in society. Cet article traite de la participation des femmes à l’ordre mystique musulman (soufi) appelé Tijāniya. 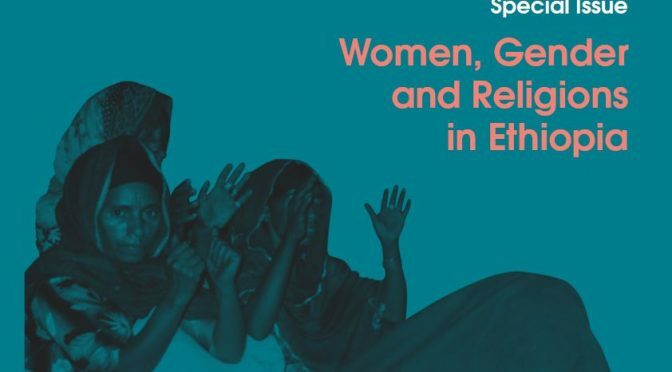 En Éthiopie, les femmes musulmanes sont généralement considérées comme secondaires en ce qui concerne l’accès à l’éducation religieuse et, de ce fait, peu de femmes obtiennent l’autorisation d’exécuter les rituels tijāni et de devenir des disciples des maîtres soufis. Néanmoins, les femmes ne sont pas exclues de toutes les activités du soufisme. Dans cette enquête, le personnage central est Al-Fakī Ahmad Umar (décédé en 1953), un shaykh (maître soufi) tijāni originaire du Bornou (nord du Nigeria actuel), vénéré comme un walī (saint), principalement dans l’ouest de l’Éthiopie. Dans cet article, trois centres religieux du Tijāniya situés dans l’ouest de l’Éthiopie sont comparés ; trois lieux où Al-Fakī Ahmad Umar a résidé. Cette comparaison témoigne du rôle joué par les femmes musulmanes disciples du maître tijāni dans l’expansion de la communauté tijāni ; un rôle qui passe par le chant de la litanie tijāni, le Ṣalāt al-Fātiḥ, durant les cérémonies religieuses. Cet article présente une étude de la population missionnaire des Sœurs missionnaires comboniennes qui ont servi en Érythrée entre 1914 et 2014. Cette congrégation est à la fois remarquable par la qualité et la fiabilité des documents conservés dans ses archives, à Vérone et à Asmara, par son importance en termes de nombre et de types d’activités couvertes (santé, éducation, œuvres sociales) sur le territoire érythréen, et parce qu’elle permet d’inclure une perspective de genre dans une analyse fondée sur la méthode ethno-démographique. L’insistance du fondateur Daniel Comboni sur l’importance des femmes missionnaires dans la mise en œuvre de son idée de « reconstruire l’Afrique par les Africains » a ouvert de nouvelles opportunités aux missionnaires elles-mêmes. L’expérience des missionnaires comboniennes est contextualisée dans son environnement socio-politique et culturel, en soulignant leur transformation d’actrices de la colonisation à sujets postcoloniaux. Au cœur de cet article, l’histoire démographique des sœurs comboniennes italiennes en Érythrée éclaire leurs spécificités en termes de mobilité, d’âge à l’arrivée, de mortalité et de morbidité. Au cours du xve siècle, les rois Dāwit (1379/1380-1413) et Zar’a Ya’eqob (1434-1468) ont promu le culte de deux figures féminines chrétiennes pour légitimer leur politique religieuse et exalter leur propre image au sein de la monarchie. La reine Hélène, mère de l’empereur romain Constantin (272-337), et la Vierge Marie furent ainsi mises à l’honneur. Afin de justifier leur implication croissante dans les affaires religieuses, les souverains associèrent leur personne et leur image à celles de ces deux femmes, de façon à renforcer la dimension sacrée de leur propre pouvoir. En parallèle, ils organisèrent et imposèrent le culte de ces figures en leur dédiant des jours saints dans le synaxaire, en faisant traduire différents textes et en développant une iconographique susceptible de servir de support visuel à ces nouvelles dévotions. L’auteure soutient l’idée que l’une des conséquences de cette promotion fut de permettre ou, tout au moins, d’accompagner la participation politique des femmes. À la fin du xve siècle, le principe de la régence fut introduit. Au cours du xvie siècle, les reines exercèrent la régence et se mirent à construire des églises royales. Le nouveau rang d’itēgē fut créé en remplacement de l’ancienne titulature des reines et les souveraines devinrent les conseillères du roi ou les protectrices du clergé. En parallèle, leurs descriptions dans les chroniques royales les associèrent de plus en plus à Hélène ou Marie. Dès lors, les reines commencèrent à être intégrées à la représentation du pouvoir et de la famille royale. Au cours du xviie siècle, les reines furent représentées sous les traits de Marie dans l’iconographie royale et religieuse. Ce type d’analogie devint le modèle pour représenter le rang de la reine. Au milieu du xviiie siècle, cet archétype atteignit son apogée avec la reine-itēgē Mentewwāb. Régente de son fils puis de son petit-fils, elle dirigea le pays pendant près d’un demi-siècle. Dans ce but, elle développa une importante propagande la faisant apparaître à l’image de Marie ou d’Hélène, en tant que reine à part entière et véritable souveraine du royaume supplantant de fait le roi régnant. Cet article s’intéresse aux difficultés couramment rencontrées sur les sites d’eau bénite et, en particulier, au comportement abusif de certains “guérisseurs” à l’encontre des jeunes femmes. Il s’agira de donner un aperçu général de plusieurs enjeux pertinents pour expliquer de quelle façon ces “guérisseurs” peuvent agir sous l’égide de l’Église orthodoxe Täwaḥədo éthiopienne, quand bien même leurs activités ne sont pas autorisées par le patriarcat et violent les lois de l’Église de diverses façons. Après avoir examiné les développements historiques de l’Église orthodoxe, on s’intéressera à son attitude à l’égard des relations de genre avant de résumer les préceptes des rituels et enseignements prescrits dans le cadre des services de soin. En dépit d’un début d’émancipation féminine au sein de l’Église orthodoxe, de nombreux mécanismes d’oppression sont encore actifs aujourd’hui. Dans le cadre des pratiques curatives traditionnelles qui font appel à diverses forces ésotériques, les difficultés que rencontrent les femmes en recourant aux services de santé sont particulièrement évidentes. Des méthodes d’enseignement inappropriées et le manque de dispositifs administratifs n’ont pas permis à l’Église d’échapper à l’influence subtile du profit et des pratiques culturelles de guérison. En outre, les différentes catégories de personnel ecclésiastique sont souvent difficiles à distinguer aux yeux des laïcs et des femmes, créant ainsi la confusion entre les vrais spécialistes rituels et les charlatans. Alors que les points de vue de l’Église et de la société au sujet de la subordination féminine rendent les femmes particulièrement vulnérables, la désapprobation du patriarcat et l’interdiction d’exercice émise à l’encontre de certains « guérisseurs » n’ont pas permis de décourager cette attitude. À titre d’exemples, l’article fournit plusieurs études de cas consacrées à l’expérience de jeunes femmes sur un site d’eau bénite. Celles-ci montrent de quelle façon la procédure rituelle reconnue par l’Église de guérison à l’aide du Saint-Esprit, en particulier l’exorcisme, est violée. Sous l’autorité de qui ? Le conditionnement religieux de la prise de décision dans le contexte du droit au choix en matière de reproduction dans le nord-ouest du Tigré – L’analyse développée dans cet article procède de l’hypothèse couramment admise selon laquelle une fervente religiosité entraverait le recours aux pratiques contraceptives et à l’avortement car la personne serait tenue de respecter la volonté divine et d’engendrer le nombre d’enfants décidé par Dieu. Cependant, parmi les femmes (âgées entre 18 et 75 ans) sur lesquelles a porté cette étude ethnographique menée dans une zone rurale et semi-urbaine du woreda de Asgede Tsimbla, situé dans le nord-ouest du Tigré en Éthiopie, une grande confusion et des opinions contraires existent quant à la position officielle de l’Église orthodoxe éthiopienne sur la contraception. Les prêtres eux-mêmes étaient en désaccord sur cette question lors des entretiens menés individuellement. En outre, l’indétermination perceptible dans la compréhension populaire de la transition entre le pouvoir divin et le contrôle personnel, telle qu’elle apparaît dans le concept de cïddïl (sort/destinée), met l’accent sur la difficulté à appréhender de quelle façon la religion conditionne le processus de décision. La légitimation de la contraception dans les récits de certaines femmes invite à étudier l’agentivité en jeu lors du déplacement de l’autorité – au sens discursif du terme – de l’église et du champ religieux vers celle de la science, sous laquelle le gouvernement se place lorsqu’il soutient le droit des femmes en matière de reproduction. Dans le contexte actuel où le système de santé public propose un éventail étendu de moyens de contraception gratuits, ce déplacement discursif offre aux femmes la possibilité de faire des choix en matière de reproduction qui ne sont pas surdéterminés par la religion. Le projet « Recherches archéologiques et épigraphiques dans la région du Tigray, Éthiopie (Ier millénaire avant notre ère-viiie siècle de notre ère) » porte sur les civilisations de l’Éthiopie antique, la transition entre diverses périodes de l’histoire antique, la transformation du milieu naturel et les types d’installations humaines. Le site de Wakarida, choisi comme premier terrain d’étude, est situé au nord-est du Tigray, à l’extrémité orientale du haut plateau dominant la plaine de l’Afar. Les vestiges antiques couvrant quelque 9 ha semblent former une petite agglomération assez densément occupée pendant la période aksumite (iiie-viie siècles de notre ère). Deux secteurs de fouilles, ouverts entre 2011 et 2014, ont révélé des constructions caractéristiques ressemblant aux édifices d’Aksum et de Matara, par les plans et par les techniques de construction, même si ces constructions sont de plus petite dimension. Les travaux de terrain visent à préciser l’organisation du site, son rôle dans la région et ses liens avec le royaume d’Aksum. Situé à l’écart des principaux centres de pouvoir et des grands axes de circulation, le site n’est pourtant pas isolé : de nombreux sites, en général plus petits, ont été découverts dans la région. La majorité d’entre eux semblent dater de la même période et il semble que Wakarida était un centre de pouvoir local. Certains vestiges pourraient remonter à des époques antérieures ; les études en cours vont le préciser. Un cimetière médiéval situé à cinq cents mètres au nord des églises rupestres de Lālibalā a été identifié sur le promontoire de Qedemt. 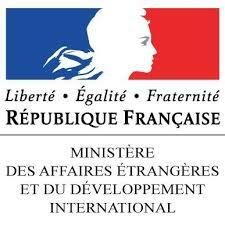 Cette zone relativement préservée offre l’opportunité d’appréhender les pratiques funéraires à Lālibalā à partir de données archéo-anthropologiques. Après une évaluation en 2010, une première campagne de fouilles en 2012 a permis de mettre au jour une quarantaine d’inhumations. Les premiers résultats témoignent d’un espace funéraire ayant fonctionné entre le xie et le xviiie siècle. Ces données permettent d’appréhender l’ensemble funéraire sur une longue durée, d’observer de nombreuses réutilisations d’emplacements et des changements dans les pratiques. Une première analyse montre d’ores et déjà des variations chronologiques dans l’orientation des tombes et permet de poser l’hypothèse de l’existence d’un espace réservé à l’inhumation des sujets immatures durant la dernière phase d’occupation du cimetière. Cette première campagne fournit également des données inédites sur la typologie des tombes, les pratiques funéraires et les populations médiévales en Éthiopie. Elle pourra servir de référentiel à une étude plus globale des espaces funéraires à Lālibalā et de manière plus générale dans l’Éthiopie médiévale et moderne. Les souverains chrétiens éthiopiens possédaient comme fonction régalienne le droit d’attribuer un droit foncier, connu sous le nom de gult, aux institutions religieuses et aux personnes privées. Les domaines attribués en statut gult étaient généralement de large étendue et en théorie inaliénables, et leur subdivision en parcelles soumises à des régimes d’exploitation et fiscaux variés dépendait de l’histoire de chaque institution. À travers l’analyse de deux versions d’un même acte royal (émis par le roi Iyasu I, 1682-1706) en faveur d’une église (Aksum Maryam Ṣeyon), l’un émis par le scriptorium royal, le second émis par les bénéficiaires, il est possible de saisir les enjeux de chacun de ces deux niveaux interdépendants du droit foncier. Affirmer ou confirmer un domaine gult et préciser les droits au niveau du parcellaire sont bien deux actions juridiques qui se recouvrent et se complètent. La présence indienne en Éthiopie n’occupe pas une place très importante dans l’historiographie éthiopienne. Pourtant, les hommes d’affaires indiens furent aussi essentiels à l’économie de l’Éthiopie du début du xxe siècle qu’ils le furent à la même période en Afrique orientale britannique. Partie intégrante d’un projet de recherche plus large visant à combler cette lacune, cet article retrace la vie et les réalisations de Mohamedally Shaikh Sharafaly, le plus connu de ces hommes d’affaires, qui a développé l’une des entreprises de commerce et d’industrie les plus importantes du pays. L’article suit la narration d’une lettre inédite que le marchand écrivit en 1940 au sujet de sa trajectoire professionnelle. Depuis son arrivée à Harar à la fin du xixe siècle jusqu’à l’expulsion de sa société en 1937, son récit éclaire le contexte politique local dans lequel de florissantes entreprises étrangères ont émergé, impliquant à la fois l’amitié des empereurs et la protection diplomatique, en tant que sujets britanniques dans le cas des Indiens. Mohamedally Shaikh Sharafaly a créé un réseau dense de magasins indiens en Éthiopie et a organisé de multiples partenariats avec d’autres marchands indiens, créant des filiales à Djibouti, Aden et Berbera. G.M. Mohamedally & Co était bien plus qu’une simple firme commerciale. À plusieurs occasions, elle a fourni des renseignements aux puissances étrangères, et elle a également soutenu activement les Éthiopiens durant l’occupation italienne. Elle était aussi centrale dans la vie de la communauté indienne et était connue pour ses nombreuses activités philanthropiques. Les conditions brutales de l’expulsion de 1937 révèlent, en creux, l’influence politique de la société et de son fondateur en Inde. Cet article présente l’édition d’un court texte en Gǝ‘ǝz qui traite d’une prophétie musulmane concernant le Roi des Rois Yoḥannǝs IV (1872-1889). Ce texte, probablement rédigé entre 1881 et 1889, se présente comme une lettre écrite par les autorités musulmanes étrangères à l’attention des musulmans résidant dans la région du Wällo. Selon l’auteur de ce texte, Yoḥannǝs est le roi élu de Dieu, annoncé par une prophétie ; de fait, les musulmans du Wällo doivent se soumettre au monarque chrétien. Ce texte a des caractéristiques bien spécifiques dont l’analyse montre qu’il s’agit d’un document produit dans un milieu chrétien orthodoxe afin de justifier la politique agressive menée à l’encontre des musulmans éthiopiens à cette époque. Le texte soulève ainsi des questions concernant l’appareil idéologique élaboré à la cour de Yoḥannǝs IV. Cet article retrace l’itinéraire de deux infirmières éthiopiennes, Aster Ayyana et Berqnäsh Käbbäda, dont la carrière fut marquée par leur participation à la Guerre de Corée. Diplômées de l’École secondaire de l’Impératrice Mänän (école de filles), ces deux jeunes femmes ont embrassé la carrière d’infirmières en rejoignant la Croix Rouge Éthiopienne en même temps que six autres camarades de promotion. Après avoir complété leur formation à la Croix Rouge, elles furent sélectionnées pour rejoindre le 3e régiment « Kagnew » en Corée. Incorporées aux forces armées, elles furent élevées au rang de second lieutenant. La campagne de Corée se déroula dans le contexte des combats anticoloniaux et de la lutte pour l’indépendance des nations africaines et, à une époque où la demande en infirmières qualifiées était haute, le rôle significatif de ces deux infirmières éthiopiennes a servi à valoriser la profession d’infirmière et à affirmer la place des femmes dans la société.